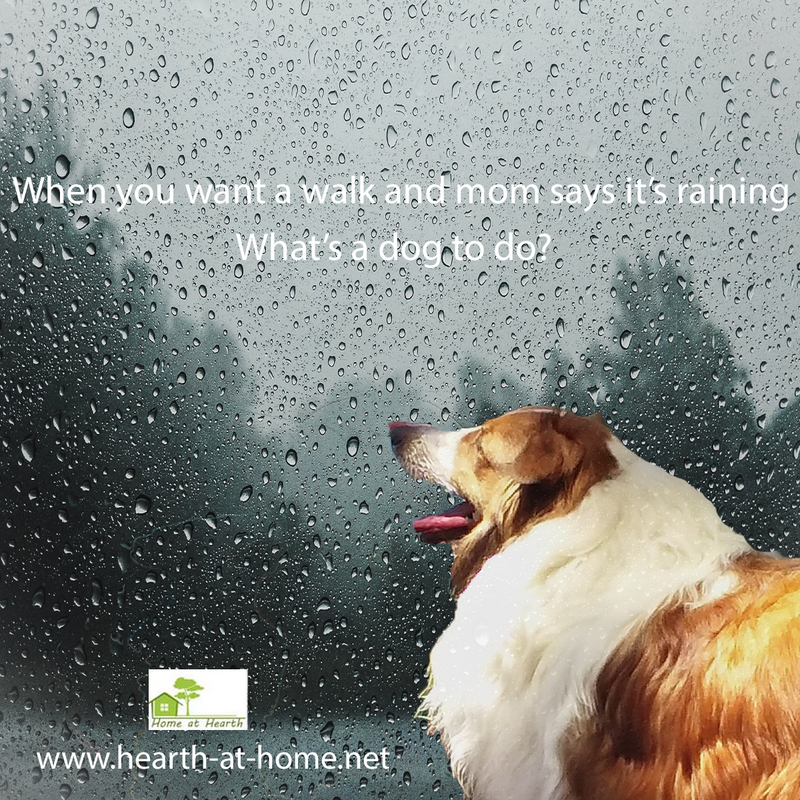 Wanna walk and mom says it's raining. What's a dog to do. We could take an umbrella and splash through lots of puddles.